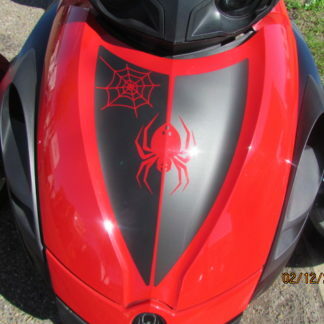 Get that aggressive new look for your Spyder when you install our NEW Daytona Racing Stripe kit. You’ve seen it in magazines and online now you have the opportunity to make your F3 look the same with this stripe kit. This kit is easy to install and requires little to no trimming to apply it. Available in many color combinations including some select reflective options. 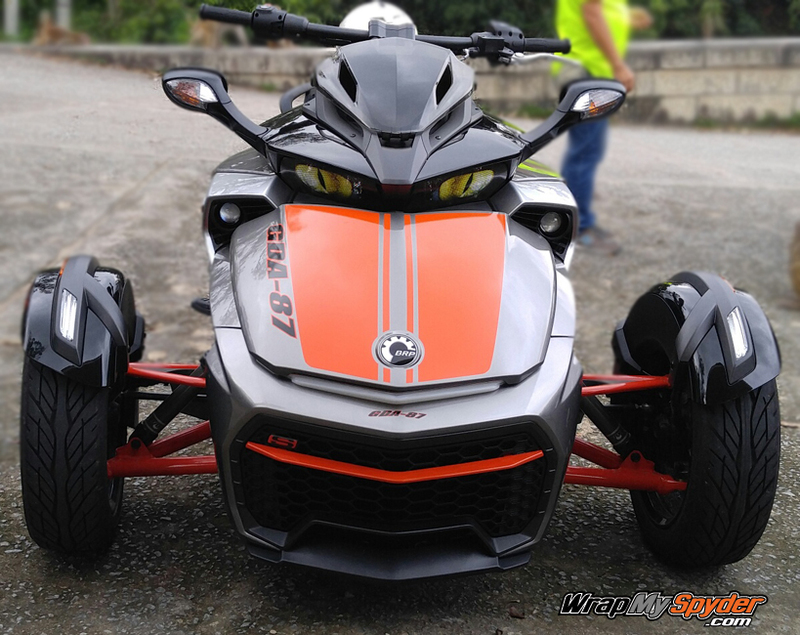 Order your Can-am text here. Watch a short installation video below. 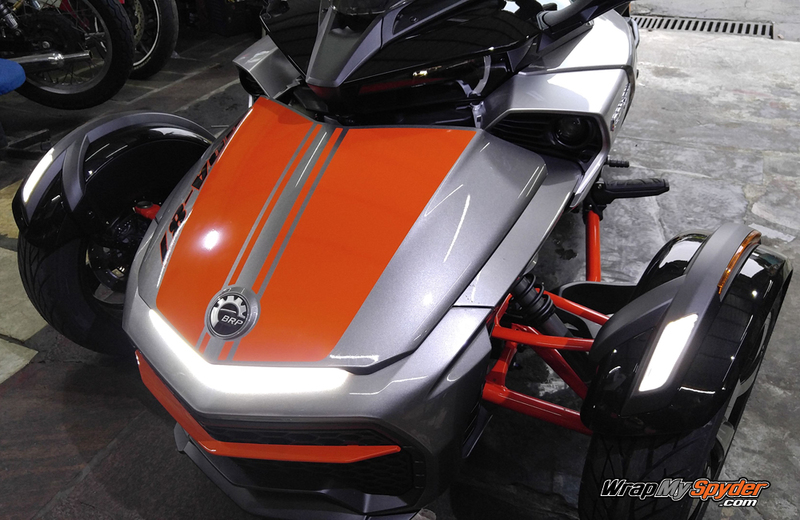 You will receive the frunk stripes as seen in the photos on this page. You also have the option to add the front fenders. Please contact us with any questions. Great product, very easy to apply, and looks fantastic. 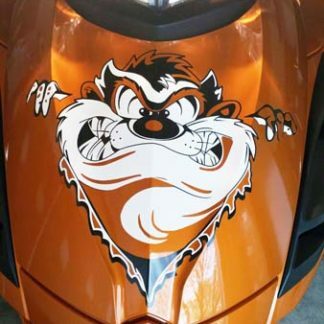 I really needed something to breakup the Can-Am Red (Chevy Engine Block Orange) on the hood. Pete at WrapMySpyder gave me suggestions on what wax to use. Needless to say the support was excellent. Fast shipping! 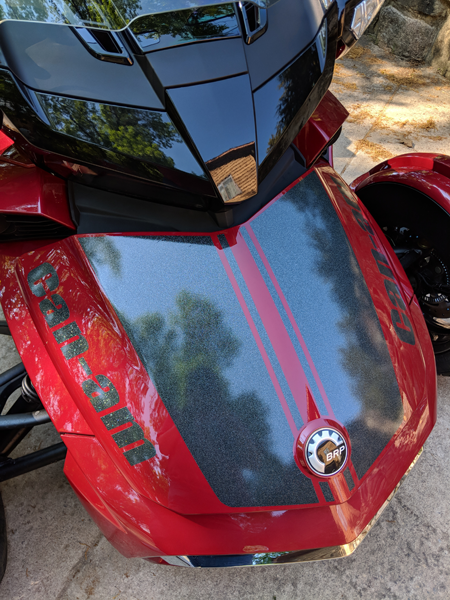 Added these in black metallic to my silver/black F3-T Spyder and it turned out fantastic. The product was of great quality, easy to work with and came with everything I needed to apply. 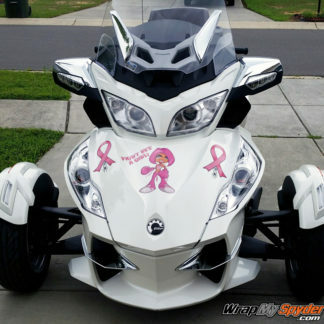 The even more impressive part of this purchase was the unmatchable customer service I received from Wrap My Spyder. I sent in an email with a few questions before purchasing and Pete responded back to me very quickly and was there support for any further ordering questions and application questions that I had. I could not have asked for a better experience and I will certainly be using them in the future as needed! !